This year the Mercer Historical Society and the Candy Cane Parade Committee have joined forces to present one Christmas Celebration. The Mercer Candy Can Christmas Celebration includes a Baking Contest, Parade, Candy Cane Court from Mercer School, Santa & Mrs. Claus, Refreshments, Toy & Food Drive, Prizes, and More! 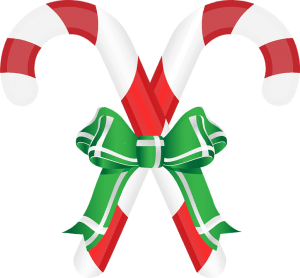 Candy, Cookies, and Bars using the Candy Cane/Peppermint Theme should be Delivered to the Community Center between 10am and Noon on Saturday, December 8th. Provide a Batch of the Candy, Cookies or Bars as they will be Served After Judging at the Celebration. 3:30pm Parade Starts and Travels through Downtown Mercer to Hwy J to Railroad Street, then onto the Community Center. Floats, Walking Groups, and Decorated Vehicles will join Santa & Mrs. Claus, the Candy Cane Court, and Fire Trucks to make for a Festive Holiday Procession. Cash Prizes for Candy Cane Themed Entries.